"An engaging, not-to-miss debut with characters that stayed with me long after I finished reading." - Robin Bielman, USA TODAY Bestselling author. Corie Harper is twenty-eight years old when she is first visited by a ghost—in the form of a graduation letter she forgot she wrote. Although she spent a decade burying that desperate girl and her regrets, each page resurrects the past, dragging Corie back to a time when all she craved was Scarlet Hinden's friendship and Tuck Slater's heart. But she couldn't keep them both and keep her word. Scarlet is haunted in her own way, by memories of Corie and of a night that left her wishing she were dead. But Scarlet is not only alive, she's carrying new life: a baby she never wanted and is terrified to have. Convinced she would be a disastrous mother, she questions whether or not she deserves the love of any man. Especially the father of her child. 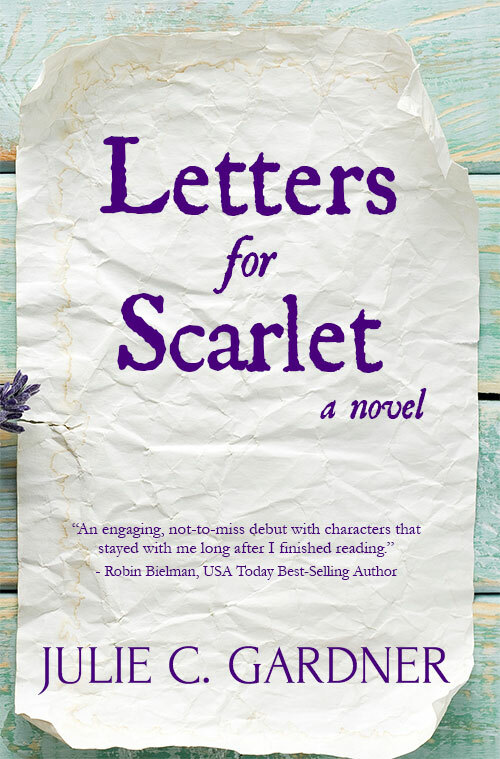 Letters for Scarlet traces one friendship from deep roots to branches torn by broken promises and loss. 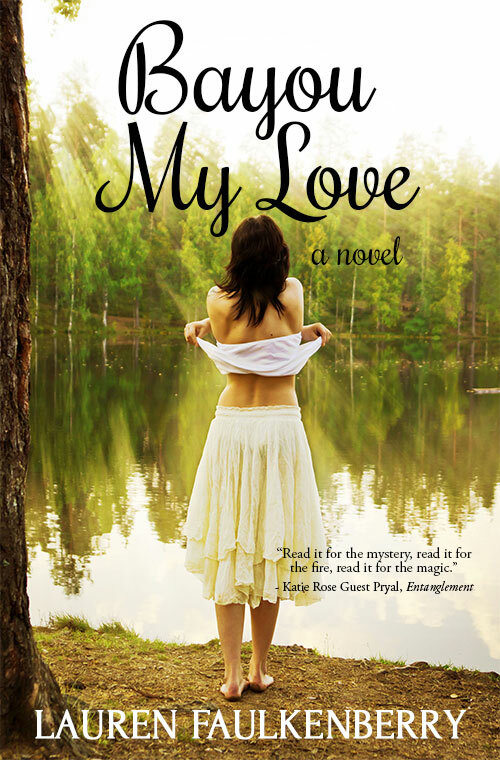 Bayou My Love on Sale for $0.99 on Amazon! Romance, fire, suspense... Louisiana's about to get a whole lot hotter! Thirty-year-old Enza Parker is at a crossroads. To prove to her overbearing father she can flip a house on her own, she takes on an ambitious project and it puts her in the path of the most alluring man she's ever met. Enza plans to flip the house she inherited from her estranged grandmother, Vergie, in Bayou Sabine, Louisiana. As a child, she spent summers there until the day her mother—Vergie's daughter—inexplicably left. Since then, Enza hasn't let anyone get close to her. Arriving in Bayou Sabine, Enza finds her house occupied by bedeviling firefighter Jack Mayronne. Enza has no intention of being a landlord, but Jack convinces her to let him stay in exchange for helping her with repairs. With only six weeks to fix the house and sell, she's determined to prove her father wrong, but she didn't count on all the delicious ways Jack could distract her. When Enza's fling with Jack intensifies, she finds herself entangled with a vengeful arsonist from Jack's past. As she reaches her breaking point, she must decide: Should she sell the house and leave her past in Bayou Sabine behind for good, or can she overcome her fears and build a new life there with Jack? For Rent is Now Available for Pre-Order! 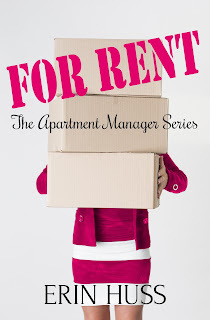 For Rent by Erin Huss, the story of a sassy single mom trying to keep her crazy new job and find love, is now available for pre-order in ebook format! Both ebook and paperback will be released on August 8th. What's another word for concierge/shrink/garbage collector/warden/adult daycare director? Apartment manager, of course! 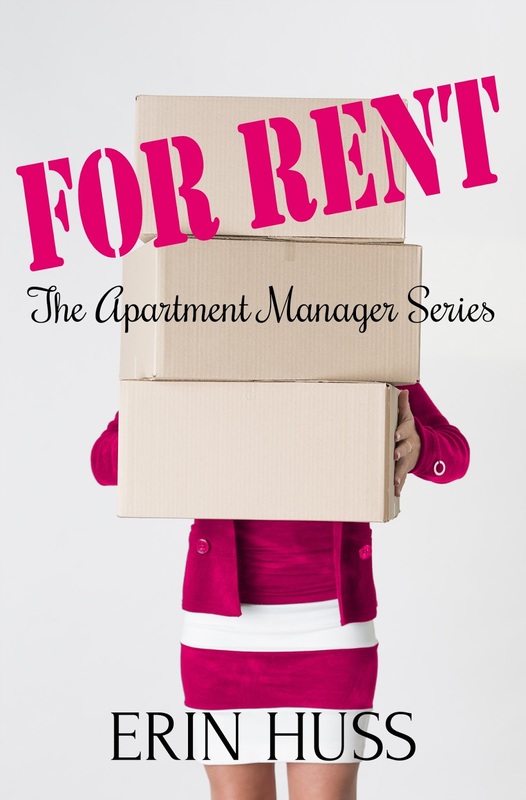 When Cambria Clyne—a single mom down on her luck—gets the job as apartment manager at an L.A. apartment complex, she believes her life is turning around. But between having to talk to the retired couple in Apartment 22 about their loud bedroom "activities" and babysitting the owner's man-child who lives in Apartment 40, Cambria realizes the job is nothing like she'd imagined. Check out For Rent on Amazon! Follow us over to Traveling With T today for the official cover reveal of For Rent by Erin Huss! Not only will you get the cover, but you'll also get an excerpt from this hilarious debut... For Rent is set for release August 8. What’s another word for garbage collector/concierge/warden/shrink/Adult Daycare director? Apartment manager, of course! When Cambria Clyne—a single mom down on her luck—gets the job as apartment manager at an L.A. apartment complex, she believes her life is turning around. But between having to talk to the retired couple in Apartment 22 about their loud bedroom “activities” and babysitting the owner’s man-child who lives in Apartment 40, Cambria realizes the job is nothing like she’d imagined. If you like the lovable in-over-their-heads heroines of Sophie Kinsella’s stories, with a little Janet Evanovich cozy mystery thrown in, you’ll love this hilarious look at the adventures of a feisty gal trying to keep her crazy job and find love. A PERFUMER'S SECRET, by Amazon best-selling author Adria J. Cimino, is now available! "It’s the story of a complicated family that begins in France, a mystery that was never solved, a love story, an inheritance, apricots and jasmine, and the recipe for the best perfume in the world." -- Cathy Lamb, author of My Very Best Friend. Perfumer Zoe Flore travels to Grasse, perfume capital of the world, to collect a formula: her inheritance from the family she never knew existed. The scent matches the one worn by her mother, who passed away when Zoe was a teenager. Zoe, competing to create a new fragrance for a prestigious designer, believes this scent could win the contract—and lead her to the reason her mother fled Grasse for New York City. Before Zoe can discover the truth, the formula is stolen. And she’s not the only one looking for it. So is Loulou, her rebellious teenage cousin; Philippe, her alluring competitor for the fragrance contract; and a third person who never wanted the formula to slip into the public in the first place. 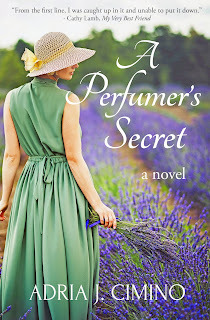 Buy A PERFUMER'S SECRET on Amazon! 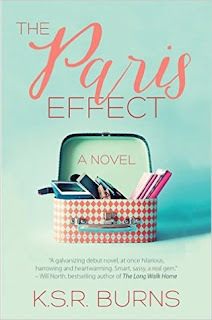 Velvet Morning Press is delighted to announce that we will be publishing The Paris Effect by K.S.R. Burns, a highly-praised novel about a young woman who sets off on a secret, life-altering, trip to Paris. The novel was originally published by Booktrope, which plans to cease operations at the end of the month. Velvet Morning Press, publisher of the Confessions memoir series, Paris, Rue des Martyrs and anthology That’s Paris, is delighted to add another “Paris” book to its catalogue. The Paris Effect will be available in paperback and ebook format as of June 1. Stay tuned!